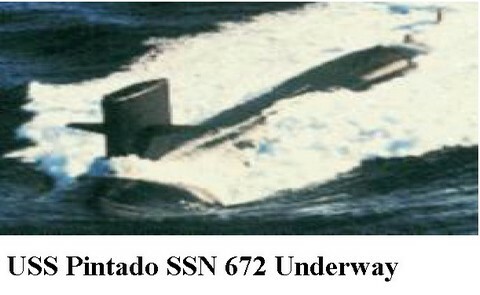 The second Pintado was laid down 27 October 1967 by the San Francisco Naval Shipyard, Vallejo, Calif.; launched 16 August 1969; and is scheduled to commission in 1971. As one of the most advanced submarines in the fleet, she is designed to seek out and destroy other submarines. She will be a worthy successor to those submarines who fought so valiantly in the Pacific during World War II.